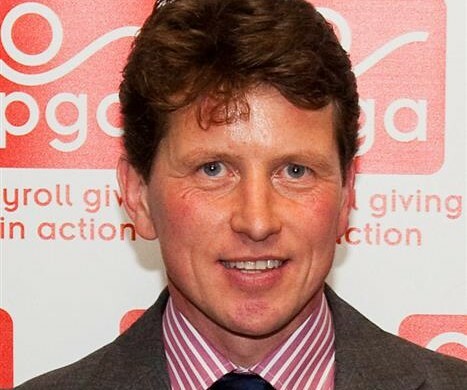 Jeremy Colwill, of Payroll Giving in Action, is spearheading a new initiative to reconnect charities with lapsed donors and boost take-up of the struggling payroll giving scheme. Palamedes PR has secured widespread media exposure for Payroll Giving in Action, it emerged this afternoon. The agency was appointed to promote the world’s first ‘donor passport’ system, which promises to reconnect charities with lapsed donors and boost take-up of the struggling payroll giving scheme. Payroll Giving in Action already offers a Giving Online service — which allows people to quickly and easily donate to charities online through their employers’ payroll giving schemes — and was the first to introduce mobile Payroll Giving. But its new Payroll Giving Portal, which was officially unveiled yesterday at the annual Payroll Giving Conference in London, is said to take the payroll giving process to the “next level” by providing a complete portable digital management system for employers, charities and donors. The coverage, which is set to continue in coming days, can be viewed below.